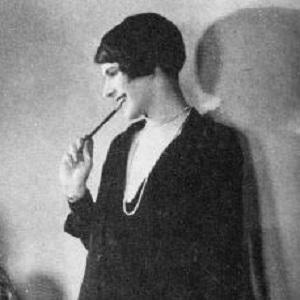 Remembered for her flapper persona and her "Lipstick" pseudonym, Long wrote the highly popular New Yorker column "When Nights are Bold" during the 1920s. After earning a bachelor's degree in English from Vassar College, she relocated to New York City and worked for both Vanity Fair and Vogue before accepting a position with The New Yorker. She was adored by her readers for her humor and her defiance of social convention. She was born in Stamford, Connecticut, to Frances Bancroft Long and writer and Congregationalist minister William J. Long. She married a cartoonist and fellow New Yorker employee named Peter Arno. She was hired by the New Yorker's founding editor, Harold Ross, and enjoyed a congenial relationship with Ross throughout her tenure with the popular humor magazine.